I am going to let you in on a little secret today. I am always honored, and a bit nervous, when an author stops by my blog to visit and talk about their latest novel. And what’s even more amazing is that two years ago, I didn’t even know what a blog was lol. Today not only am I nervous because of today’s guest, but am star struck as well!!! I received an email with a request to read an review this author’s book, however, being so behind, I had to say no, which is very hard for me, but offered her to come and visit so that she could tell us all about her book. She accepted. In her email were these words “I’m a recovered soap star turned ghost writer,screenwriter, feral cat wrangler, and novelist.” Me, being inquisitive, I visited her website, and couldn’t believe my eyes. I had just booked an author, who was on a “soap” that I had watched on and off from when I was in High School, Days Of Our Lives. So if I appear more anxious, you now know why. So, please, help me give a warm welcome to multi talented, Staci Greason, to the CMash blog!!! Staci Greason is a recovered soap opera star turned personal assistant, ghost writer, novelist and feral cat wrangler. 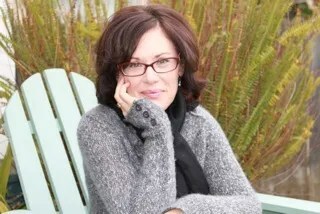 She is also the author of the popular blog Anxiety: a Love Story (staciagreason.blogspot.com). 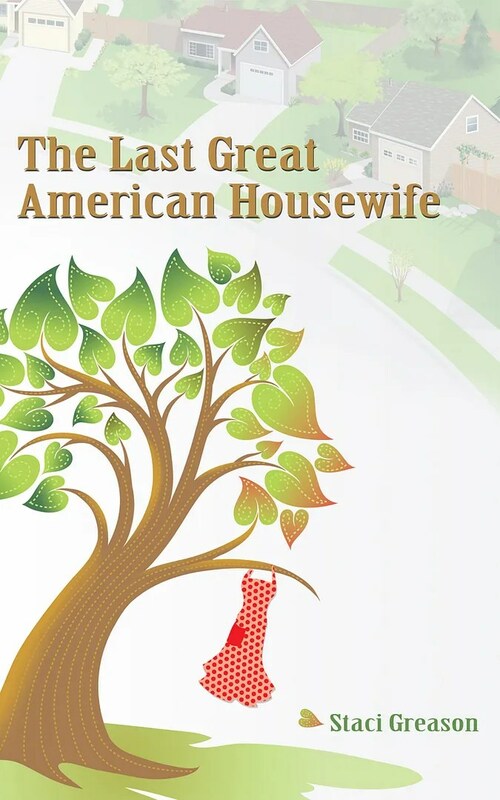 The Last Great American Housewife isn’t the first book she’s written, but it is the first one published under the name her parents gave her. Which has made them proud. You can visit Staci at her website. Kate Miller may be THE LAST GREAT AMERICAN HOUSEWIFE left in Van Nuys. But as she sails toward forty on the wave of a pretty good (albeit somewhat boring) life with a husband and two kids, the death of her dysfunctional mother sends Kate out on the ledge…and straight up a tree. Surveying her life from atop an endangered Ponderosa Pine near The Fashion Square Plaza Mall, Kate learns more than how to fight for a cause. She learns how one frightened woman can actually discover her true self, one branch at a time. And right down the street from her own backyard. UPDATE: THE PB EDITION WILL BE RELEASED MID SEPTEMBER!! FIVE (5) EBOOK EDITIONS OF HER BOOK TO GIVE AWAY. STACI WILL SEND AN AUTOGRAPHED PHOTO.